You must consider the variable change. Those who saw the movie 21 Blackjack , I am sure a lot of you must have, must have imagined what that concept was that professor Micky presented to his class. 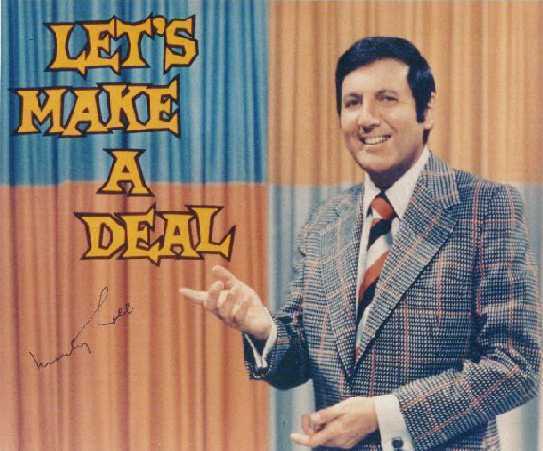 I found , after a few minutes of digging down into google, it was the very famous Monty Hall Problem. It is a logical puzzle loosely based on the american game show “Let’s make a deal“. You’re on a game show, and you’re given the choice of three doors: Behind one door is a car; behind the others, goats. You pick a door, say No. 1 ( a very apt choice as all the three doors have the same probability of being chosen), and the host, who knows what’s behind the doors, opens another door, say No. 3, which has a goat. He then says to you, “Do you want to pick door No. 2?” Is it to your advantage to switch your choice? Well some people would say “I would stick to what i chose. B) ” Those people would be not fools 😛 but simply unaware of the fact “Variable change”. Let me explain what this variable change is. Let there be three doors 1,2,3 respectively. one of these doors has a CAR behind it while other has a goat. Say I choose door 2. Probability of the bar being behind that door is 1/3 or 33.33%. Now, let the game host be you. You obviously know which door has the prize and which ones are boobie trapped. You open the door 3 and show us all that it had a goat behind it. Suddenly, I realize that the probability of the car being behind your door has risen from 33.33% to 50%. So when you are going to ask me if i want to stick to my choice I will be prepared to say yes. Because I did not consider the probability of car being behind the other door. Three configurations of the doors is possible here. Some of you might have gotten the hint by now. But for those who haven’t here’s the explanation. The probability of my choice being correct at the first place is 1/3. While that of being wrong is 2/3. In case the configuration of the car and goat is as shown in case 1 and three, and if i choose gate 2 Then the host , i.e. you, will be forced to open door 3 and 1 (for case 1 and 3 respectively). This is because in both the cases, my choice was wrong, and you being the host cannot open the correct door and the door i choose. Hence, when i change my choice i will definitely win the car. That’s two cases where I will win the car if i change. In case of case 2 of the config shown above, when i choose door 2 and you open door 1/3 if i change my choice i will lose with a probability of 100%. Hence this is one case when i will lose if i change my choice. Now from a total of three cases possible I lose in 1 case and win in 2 cases if i change my choice after the host opens a door. Hence the probability that i win after i change my choice is 2/3 or 66.66% which is more than 50%. I hope you like this post and feel free to kick a conversation on this post to discuss it with me or others.